This post has been updated to reflect that Alan Durning retracted the comments on his personal blog regarding Sound Transit Regional Proposition 1 (aka ST3). Durning, though Executive Director of Sightline Institute, was not speaking on behalf of the institution in his personal blog comments, which I should have made clearer. 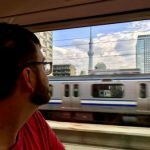 I do humbly suggest that Sightline Institute going forward take a more active role in advocating for transit packages in the Seattle area as they do have a great deal of respect in the community–and rightfully so–and their influence would certainly help. The Seattle urbanist community got a little surprise this weekend when Alan Durning–who is Executive Director of Sightline Institute–criticized ST3 on his personal blog which cast some doubt over whether ST3 was a solid package for the environment and mitigating climate change specifically. Sightline is a think-tank specializing in environmental sustainability but it hasn’t weighed in on the regional transit package that I have seen. In response to criticism of ST3’s climate change bonafides, I must reiterate that ST3 is a huge step forward for carbon reduction and more sustainable land use. Passing ST3 would be a big win for the environment, especially compared to the backtracking or inaction likely if it fails. That’s why The Urbanist endorsed ST3 in our general election endorsements. Critics have highlighted a weakness of the plan in that several of the stations are built on or directly adjacent to freeway trenches which decreases their walkshed and the desirability of the land they open up for urban development. Valid point, but not reason enough to scrap the largest transit boost in Seattle history. It also overlooks that the Ballard and West Seattle lines will not be in freeway trenches. Things can be done like freeway lids and sound walls to mitigate some of the harm freeways do. And problem of traffic-related air pollution–a huge concern today–should become less acute as electric cars and trucks become a larger share of the vehicles on our highways. It’s also worth noting, for instance, that some of the most promising Snohomish County stations are not in the I-5 freeway trench in part due to the controversial Paine Field deviation. Plus, the Snohomish station areas are already fairly dense in contrast to Durning’s portrayal of them as hopeless suburban wastelands. One of the census block groups near the proposed Mariner Way station had a density of 18,534 people per square mile in 2012. That’s respectable density even for Seattle. All told, census data suggests somewhere in the neighborhood of 10,000 people live within the half-mile walkshed of Mariner Way station. That’s a dense neighborhood for 2012, and it will be even more so by 2030’s when the station is operational. The Paine Field alignment not only put the Mariner Way station more squarely in the middle of a dense multi-family area, it also put Evergreen Way station in the more salvageable SR-99 corridor rather than I-5, as would be the provisional Airport Road station. And just to the south, 164th St SW (the sometimes ridiculed Ash Way station) has seen a huge boom since 2012 and may even overtake Mariner Way’s density by the time light rail arrives. It’s important to remember most cities have been good at zoning for growth and vibrant urban districts near stations. Shoreline (145th St and 185th St) and Lynnwood already have implemented pretty aggressive rezones ahead of Link’s next northward expansion by 2023. Bellevue and Redmond have ambitiously rezoned ahead of East Link’s 2023 opening. And to the south, Kent passed design guidelines back in 2011 setting up urban-style zoning for its Midway neighborhood station scheduled to open in 2023, whereas Des Moines went so far as to enact 55-foot height minimums around the same station, which it will share. If ST3 passes, similar rezones are likely in Everett, Federal Way, Tacoma, and Issaquah. The area just below the proposed S 272nd St station (near Redondo Square) was the densest census tract in South King County in 2012 with 8,032 people in 0.787 square miles. The Federal Way Transit Center, on the other hand, isn’t as dense now but is well suited for an urban revitalization and a downtown type treatment. Light rail is the kick municipalities need to think big and have confidence they can serve the transportation needs of their future citizens. Saying yes to ST3 sets the whole region on a much better land use pattern trajectory for decades to come. Trying to start from scratch piece by piece does not lend lawmakers that kind of certainty and confidence and could leave us with worse land use habits for much longer. Seattle can’t take all of the region’s population growth–projected to be more than a million by 2040–even if we tried. We need the suburbs to urbanize, too. Critics have also often cited State Senator Reuven Carlyle’s infamous dissent on education funding worries, an argument with which we already had serious issue. Carlyle’s sterling reputation does not mean Ballard’s beleaguered legislator is right this time. We can fund both education and world class transit. There is room within our property tax limits and the people’s appetite for further property tax hikes is a separate issue, especially considering the regional property tax authority is one of the few funding sources the State Legislature (with Carlyle’s voting all along in the process) gave Sound Transit. Now legislators are criticized what they themselves put on the menu. The intersection equity and rail-worthiness arguments is where the logic of some criticism really fell apart for me. On one hand, some argue places like Tacoma and Federal Way are not worthy of “prestige projects.” On the other hand, some of the same people call for greater equity for low-income communities. Do they not realize South King County and Pierce County include some of the most diverse areas in the region and have a large share of its low-income residents due in part to the suburbanization of poverty? For example, the Link extension to the Federal Way Transit Center will serve a population that is 57% minority and 22% low-income, according to Sound Transit, while the Lynnwood-to-Everett segment will serve a population that is 42% minority and 17% low-income. For folks who cannot afford cars or choose not to own or operate them, ST3 is a huge mobility boost. They get a lot back in the form of faster, more frequent, and more reliable transit. A Harvard longitudinal study has also shown that commute time is the single strongest indicator of upward social mobility and escaping the cycle of poverty. As Seattle Subway has pointed out, more than 58% light rail riders make below the King County median income. Does the fact some might have to transfer to light rail mean they won’t use it? By and large, I think not. The fast ride to job centers like Downtown Seattle and the airport will entice a great many. We must remember that light rail—which will replace costly commuter bus service–will free up service hours for local bus service meaning transfers should improve due to boosted frequency and the likely expansion of bus service coverage. And if that’s not enough, let’s not forget that Sound Transit will be required to provide huge sums of excess property for affordable housing and already participates in a very progressive regional reduced fare program for low-income residents. So the specific climate criticism argues that the 130,000 tons of carbon dioxide emissions reduction Sound Transit promises in 2040 for ST3 projects really is “negligible” or insignificant given that’s a fraction of overall projected regional carbon pollution. Critics have also suggested building all those lines will cause an enormous load of carbon pollution during construction and that Sound Transit didn’t factor in that construction-related carbon. First off, I would respond that 130,000 tons of carbon dioxide per year from vehicle miles traveled is not negligible. Second, this is to say nothing of other potential knock-on carbon savings in housing and construction patterns, and other daily habits of transit-riding residents that will result from the switch to bus and rail. But the larger issue here is that Sound Transit ridership projections are conservative. Since Sound Transit was restructured, it has stuck to conservative projections and timelines to avoid the pitfalls of the earlier organization. That conservative caution means Sound Transit doesn’t factor future land use changes into its projections. Thus, it doesn’t factor in the zoning changes the region’s cities will make ahead of the 25-years worth of light rail and bus rapid transit projects. Due to the zoning changes outlined earlier, station areas will likely be much more densely populated than in Sound Transit’s projection models. As a transit agency, it’s also not in the business of quantifying cascading effects such as the number of people who will forego car ownership given expanded light rail or move to neighborhoods where they almost never need to use a car. In short, I expect ST3 will save a lot more than 130,000 tons of carbon dioxide in 2040 and earn back its embodied carbon load many times over as its ridership grows and grows with the region. Imagine the difference ST3 will make by 2060. Over time, it will truly transform the region by guiding land use patterns and providing an increasingly enticing alternative to car commuting. And finally no argument against ST3 would be complete without echoing the rumor that buses can provide the same quality service more cheaply. The Urbanist‘s Anton Babadjanov already challenged that BRT myth here. First of all, bus can approximate light rail service inexpensively only when it does not seek the same reliability and quality. Getting dedicated lanes, intersection treatments, high quality stations, electrifying or using battery powered buses… These things are all expensive. Really next level critics also suggests ST3 could accelerate sprawl by spreading light rail so far and building nearly 9,000 parking stalls. The parking stalls aren’t ideal but are still a small fraction of the total budget. As far as accelerating sprawl, Seattle’s suburbs have already demonstrated a desire to break out of their sprawl habits as outlined above with urbanized zoning and land use changes ahead of light rail. And lest we forget, the Growth Management Act and regional VISION 2040 are extra insurance policies to greatly limit the ability of the powers that be to bulldoze rural, resource, and natural lands beyond for endless, unconnected tracts of low-density residential housing, but a “no” vote is a sure way to unravel all of that and add fuel to the cries to expand urban growth boundaries. Let’s not do half measures with an 100-year investment. If we are truly focused on sustainability, we need to think in terms of longer time spans. That means Sound Transit’s cost-benefit analysis not showing ST3 as a net benefit for the region until 2071 is actually quite OK. We should be thinking in long time spans in order to fundamentally transform our economy away from fossil fuels and the suburban sprawl machine. The amount of urbanization for which even many critics advocate requires an ambitious transportation plan with long-term regional planning. Sound Transit delivered. We should not turn our backs now. Next articleAsk The City Council: Make Streets Safer! How is this at all surprising? Alan Durning has been a light rail skeptic / opponent for years, even aligning himself with anti-environmental, anti-transit forces funded by Kemper Freeman and led by Rob McKenna 16 years ago. Just look for this October 2000 article about SANE Transit in the Seattle Times: “Who’s in the fight against light rail”. In 2001, Durning told us light rail was out, and system-wide congestion pricing was in: the preferred cutting edge method to “solve gridlock.” If you were a super-smart planner, that is. Interesting how the fiercest opponents of I-405 HOT lane tolling are also light rail’s biggest critics. Amazing how BRT fans are so gung-ho when BRT is a concept and a battering ram. Totally different story when it actually comes to fruition: these guys were doing Trump before Trump was doing Trump. In 2004 Durning argued that it was more important to re-vote and scrap light rail, rather than re-vote the flailing monorail project. Despite the fact light rail construction was well underway, and the monorail project was just a room full of PR hacks drawing pretty pictures. In 2006 Durning claimed BRT was “cheaper, faster to deploy, and more flexible than rail” and that BRT should replace the then defunct monorail Green Line route. I wonder if he’s ridden the D-Line recently to see how “viable” or permanent that light rail alternative du jour turned out to be. And in 2010, when light rail service began, Durning stuck his head in the sand. Now he seems to pretend it doesn’t exist. He even claimed to have a “bus crush” on the crammed Metro Route #194 one year before Link replaced it. If Durning uses light rail now to get to SeaTac, he doesn’t appear to admit riding it, let alone crushing on it. It takes an impressive amount of cognitive dissonance (and balls) to dismiss the equity issues in I-732, which is opposed by nearly every POC-led organization in the state, but cite those same equity concerns to justify a no vote on ST3. It’s also disappointing, as a huge fan of the Sightline Institute and the work they do, to see leadership take a public stand like this but then walk it back and refuse to own it after a little criticism. And yes, blogs are public and people are obviously going to be interested in the opinions of the head of the biggest environmental think tank in Seattle. The Everett-to-Tacoma Link spine has always made sense to me because these are two old and existing cities, and they have the potential to become much larger transit destinations as they develop over time. In the long run, Link trains to these cities should carry large loads in both directions. And the suburban communities along the route have the potential to densify and provide housing for workers in those terminal cities as well as Seattle. We shouldn’t pretend these lines will terminate in some suburban sprawl nothingvilles. Doug, Thanks for updating your article which, again, includes useful and interesting information. And yeah, I wish Sightline had the resources to work on all the issues that are important to sustainability in the Northwest. You’re welcome. I wish I could have changed your mind about ST3, but I understand your reservations even if I disagree with them. Alan, I read your original point about the carbon reductions and largely agreed based on first principles. Doug, it seems like your points would change the precision but not really the magnitude of the reductions – still much less than 1% of the region’s emissions…. so the headline (at the least) of this piece seems off. Regardless, the CO2 reductions aren’t really the reason to vote (or not) vote for this. If per-person fuel consumption is the metric, I think ST3 could approach those numbers upon its completion. If a carbon tax offering fractional gains is good enough on one hand, I’m not sure why a transit package offering similar isn’t. Carbon reduction is a valid reason to vote for this, among many others. To make transit a practical and rational choice for as many trips by as many people as much of the time as is feasible, given real-world constraints of funding and service geometry. There is no question that, given existing land use and movement patterns, radial commutes (including ones of significant distance) must play *some* role in that aim. And the social-justice case dictates that intra-suburban trips, at whatever scale is sustainable, should be taken under consideration as well. However, it is a *universal* truth that capital-intensive built-from-scratch ROW over extremely long stretches of poor land use is a painfully inefficient way to address either of the above. No matter how hard you may wish or hope otherwise, such infrastructure winds up benefitting extremely few people, for a too-narrow spectrum of purposes, in an explicitly uni-directional manner. The inefficiency is magnified when you insist that your from-scratch infrastructure take the most expensive possible form: fully grade-separated and cordoned-off, each stop a $300m Parsons-Brinckerhoff design>build>profit palace, with pledged urban-level service frequencies that *guarantee* underutilization in one direction and empty trains in the other. You have to understand that *this* is why transit users and advocates such as myself –nearing 40, have by choice never owned a vehicle, have lived in multiple cities with a variety of land uses and transit of varying effectiveness — find it alternately befuddling and exasperating to witness the endless spew of pro-ST3 talking points, which torturously *insist* that ST3’s worst-practice resource allocation will magically defy geometry and precedent to succeed beyond our wildest dreams, because Seattle is *just that awesome*, or enjoys riding trains that much, or is so rich that 4th/5th/6th rounds of massive capital expenditure will “naturally follow” from ST3’s deficiencies, or (heaven help us) will be overtaken by waves of “climate refugees” who will generate multipurpose demand by planting skyscrapers from Lynnwood to Everett. This is pure, irrational Exceptionalism, writ $54 billion large. And no amount of disingenuous traffic comparisons (ignoring that ST2 already builds quite far past the HOV-lane choke points and collection-shed of concentrated demand) or undergraduate-level white-board presentations like Anton’s (pretending that demand is infinite everywhere and that the only forms of useful transit are those found on built-from-scratch ROW, fundamentally ignoring that effective public transit *requires* a network in various situationally-appropriate forms) can overcome the capital/service waste and immeasurably destructive opportunity costs of devoting a generation’s worth of funding to wishful thinking. Far fewer users and far fewer uses than you could achieve by pursuing a better-employed complete toolbox, in city and suburb alike, even with the constraints of subarea equity — and a 2040 in which *even Ballardians* are resigned to own cars, because you’ve spent a fortune mildly improving the Interbay quasi-freeway ride (rather than making it easier to move to and through real places, or three-dimensionally like in a real city) — does not an effective environmental case make. Wait, was that a bot spewing theoretical ivory tower robot talk? Must have been, because it made no attempt to join us in the real world. Or offer up any kind of real world alternatives. We humans are all too dumb to understand bot-talk. Give me a break. Read my prior comment, which specifically calls out Doug’s troublesome logic in positing Mariner as a high-volume trip generator. I’m not especially interested in fielding hypocritical accusations from those who consider “the spine is inherently worthwhile because rail is inherently awesome” to be a paragon of (non-robotic) critical discourse. “Good faith” would entail providing at least the slightest hint of an alternate plan or vision. Apparently, you are allergic to any and all potential solutions. For anything. Whatever, RM. Though I don’t know Doug personally, I have no doubt that he and I ultimately share the same desire: a city and region that allows far more non-automobile-based mobility freedom than exists today, in (necessary) symbiosis with improved, human-scaled urban form. I wish that could be the basis of any discussion, rather than seeing this thread hijacked with character assassinations and childish “with us or against us” foot-stomping. 1 An east-west subway (Ballard-Fremont-Wallingford-UW): connecting through through one of the only broad swaths of contiguously-built, above-average-density, mixed-use and multi-directional-demand-generating swaths of urban form in Seattle; connecting with half a dozen of the highest-ridership buses in the entire metropolitan area; serving trips with presently abysmal travel speeds at all hours, by bus *or* by car; and offering three-dimensional mobility as no Link segment has thus far. Sound Transit’s own 1st-round studies showed this line to *best* the Interbay line in ridership, for barely half the cost. 2) Protect the *already-existing* bus lanes on the West Seattle Bridge from incursion, constructing new dedicated access ramps and a connection to the SoDo busway and/or to the future Alaska Way bus lanes. This can be deliverable decades before West Seattle rail could, at a sliver of the cost. 3) Start planning a second downtown bus tunnel (eventually rail-convertible), connecting to the West Seattle bus lanes on one end and to both Aurura and Elliott on the other (both also with existing bus lanes, made by-directional and all-hour). This bus tunnel should cost between $1 and $1.5 billion — thus it suffers far less financing-related delay to its shovel-readiness — and cuts 30%-40% off of current bus travel times, while serving the northern, southern, and western quadrants of the city more thoroughly than a stubby rail proposal that spends most of its costs and miles traversing industrial wastelands. 4) Speed and frequency improvements on South Sounder. Make it a genuine all-day, comfortable, accessible option. But no, it does not need Link-like frequency; no 35-mile intercity commuter rail generates that level of demand, except between the most massive megacities (and Sea/Tac are no megacities). A long-distance trip by definition requires more intent & more planning, which are spontaneity’s opposites. 5) Graham Street and 130th Street access-improving infill stops, with a high-frequency connection to populous Lake City and Bitter Lake on the latter. Built with ST2, not held hostage to play politics. 6) Build impeccable, customer-efficiency-minded bus transfers at the ST2 termini. New ramps if necessary. Still a drop in the bucket next to 50 more miles of hinterland trains with ever-diminishing returns. 7) Tons of feeder bus service. Tons of complimentary bus service. Tons of carefully demand-vetted intra-surburban commuter service. This is not a punishment or a slander — it is simply a fact that bus service is the scale at which transit demand exists in low-density areas, and that you can serve more low-density places better with this dispersible mode than with a single, arbitrary, spindly attempt to consolidate as rail. Furthermore, Sound Transit / Community Transit commuter buses have proven popular, and have proven to earn votes. They will prove even more popular when ST2 has bypassed the bottlenecks. You can offer an awful lot of service in perpetuity when you haven’t wasted tens of billions on trains through Boeing parking lots, South Lake Sammamish, and Fife. As I’ve written before, getting mobility bang for your buck simply requires understanding what “solutions” are. They’re the ones that get you around, as needed, using the full array of tools from the toolbox. They’re not the ones that build elaborate fantasy rail maps, yet leave your future self stranded at the park’n’ride, thirty miles from anywhere. Doug, I appreciate the attention to my concerns about ST3. I learned a lot from reading your article, including some things I wished I’d known before. You might have mentioned that the notes you were critiquing were my personal notes, published only to a personal blog and shared only with friends on Facebook. They had nothing to do with Sightline. I said so right at the top. Your readers might have also benefited from knowing that I stated clearly that I was only able to do a modest amount of research on the question–several hours of looking at the plan and reading about it–before voting, and that further research might have changed my mind. Is it possible that you gave my personal blog post more attention than it deserved? I didn’t expect more than a handful of friends would look at it, and that we’d exchange thoughts and perhaps learn from each other. I have taken down my post, because it was never intended as the kind of thoroughly researched piece of work that entered broadly into public debate. You might do the same, and take down this article. those who want to see rents go down. the gist of it. ST3 is a failure because they failed to plan property. We can do better. Vote no, and try again. Thanks for your note. I am accumulating things to read later, when I get a chance. So I’ll add your suggestions to my list. Also: I want to ask an unrelated question that your note inspired. Would you be willing to email me at Sightline? It might surprise you to learn that Dallas has lots of development areas adjacent to the outer fringes of its rail system with land use that looks a lot like Mariner’s. The outer East Bay has a bunch of similar settings too. If anything, these pockets of density are *less* isolated than Mariner, as they are surrounded by grids of Bellevue-level urban sprawl that could (at least hypothetically) support a grid of bus routes at frequencies useful both for feeder access and for life’s 3-dimensional non-commuting needs. – doubly appalling as a percentage of total public-transit trips taken regionwide, the vast, overwhelming majority (like 95%) of which continue to be taken in the only places where transit-amenable densities exist over large areas on a 3-dimensional basis, i.e. in the central city. Regardless of the mode of transport on offer in those central cities. And regardless of the opportunity costs for improving those 95% of trips as a result of a well-intended — but ultimately failed — emphasis on connecting arbitrary and distant pocket-isolates in a linear and very expensive fashion. So the issue here isn’t Mariner’s present or future density, in and of itself, nor is the issue the particular suburban built form that Mariner has taken by virtue of regulation or of epoch. *The issue is Mariner’s location, plain and simple. * The issue is that there is literally no way to structure a life in said location that sends you precisely to the north and south — often at great distances — for more than the slimmest sliver of a fraction of your daily commerce and social needs, much less guarantees you career options precisely located at the few spinal nodes for which a daily train commute will prove either time- or cost-competitive. Contiguousness and relative distance matter. Without those variables in favorable alignment, there is no critical “mass” of useful trips to add up to “mass” transport. That’s why even the most robust and busiest-seeming commuter rails in the country (New York’s, Chicago’s, Philly’s — many of whose suburbs “grew up around the trains”) carry modeshares that pale in comparison to the relative proportion of suburban-living metropolitan residents, and add up to tripshares that are positively dwarfed by the tripshares in the contiguously-built metropolitan cores. I understand that this is both ideologically inconvenient in an era of suburbanizing poverty, and a vexing problem in a world that already has Mariners and Mariners’ residents in it, whose lives would undoubtably be improved by an improved mixed-use environment, and by options for commuting/getting around options that are better than the ones that exist today. But this long, spindly, limited-utility, guaranteed-empty, oxygen-sucking rail spindle isn’t the right tool for that job, any more than extreme isolates of nodal-density like Mariner are a replicable solution for regional growth. This is what Durning understands that ideologically-driven ST3 apologists refuse to. Unless you want to wake up in 2040 and be Dallas — 3-phase transit system substantially complete, yet basically irrelevant to anyone’s life — but at 10x Dallas’s cost — it is beyond time to acknowledge that ideology can’t sweep away facts and fundamentals. This is a fantastic post. I started writing something similar and did NOT do nearly as excellent a job. WELL DONE!